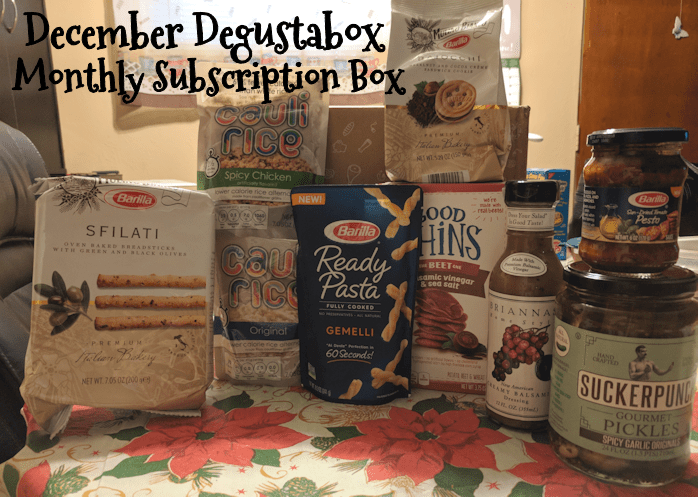 Degustabox is a food subscription box that sends out a variety of shelf-stable items, some items are new to the market. Sometimes you won’t be able to find them in stores right away! 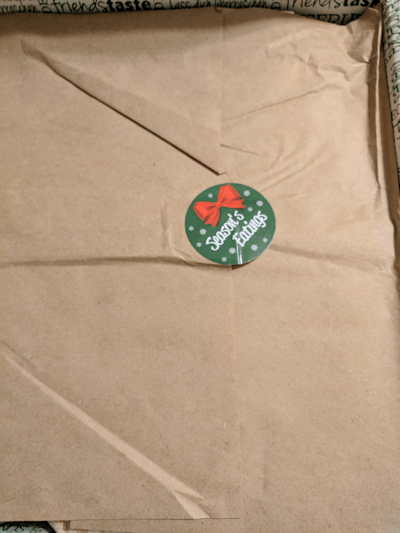 This December Degustabox was sent to us at no cost for review. 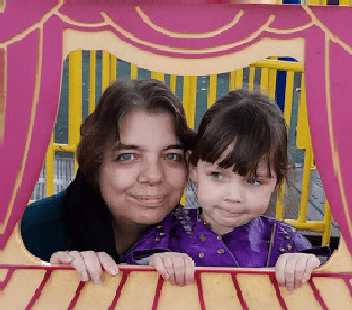 Check out our other Degustabox Reviews. Deal: Use the coupon code “UO5ID” to get your first box for just $9.99 (regularly $19.99). 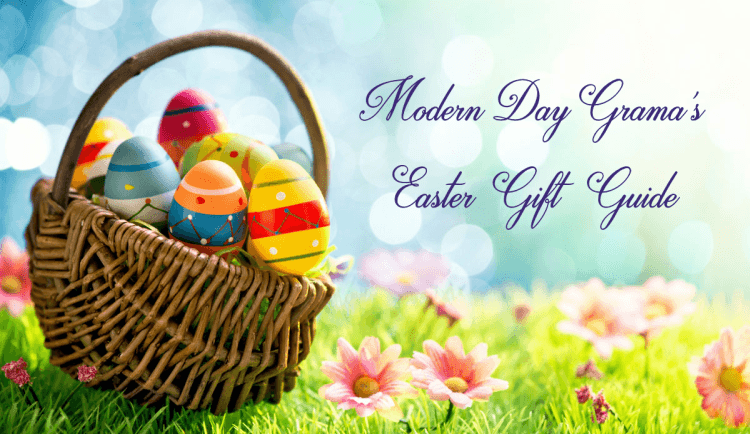 Your first month will also include a free gift! When opening the box there is always a list of products right at the top. This has the info on each item as well as a retail value. The back side of the product information sheet gives you several recipes using the Barilla products in this month’s box. This is fully cooked pasta that you heat up in your microwave! I haven’t had a chance to use this as of yet, but I will be this week! I already love this idea! 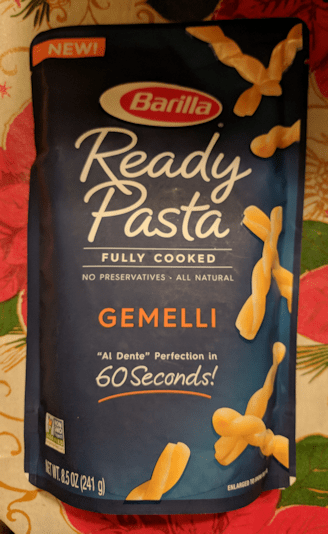 Pasta in its own pouch and ready in 60 seconds with 2 one cup servings. The best part is that the ingredients are sea salt, extra virgin olive oil, & verified non-GMO gemelli. This is pasta with no preservatives! What a convenient and easy way to fix a bowl of pasta for lunch instead of the same-old sandwich. This is sun dried tomato pesto made with non-GMO ingredients. 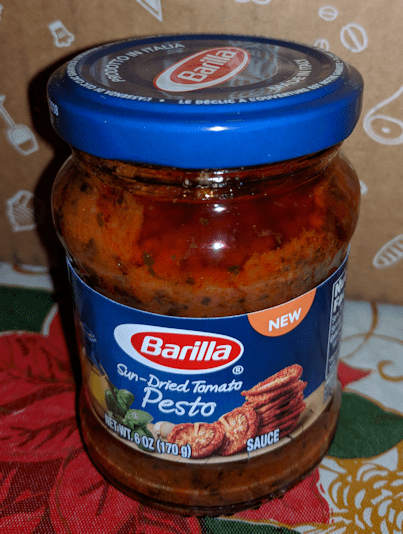 Some of the ingredients sound like it’s homemade, diced tomatoes, sunflower oil, onions, sun-dried tomatoes, basil, salt, garlic, sugar, oregano, and capers. No preservatives. This all around great pesto sauce is delicious on pasta. I hear pesto is awesome on sandwiches too! 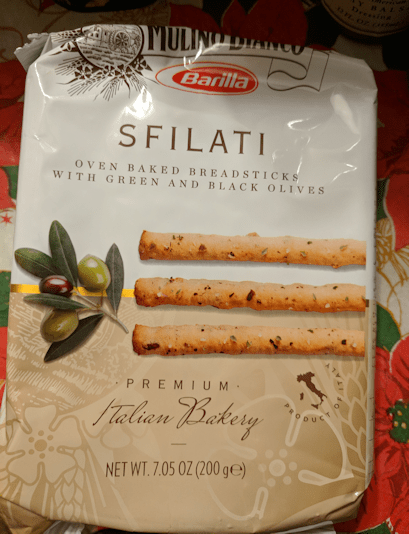 These breadsticks are oven-baked and have a little crunch to them Inspired by the traditional long and thin Italian “sfilatino” bread, similar to a baguette. They also come in a tomato flavor. These are hazelnut and cocoa creme sandwich cookies that are traditionally dipped in coffee. They contain no colorants, hydrogenated fats, or artificial sweeteners. My daughter broke these open and loved them! Cauli Rice is a rice alternative made from cauliflower grains with 73% fewer calories than white rice. You can microwave it right in its pouch or dry fry on the stove. 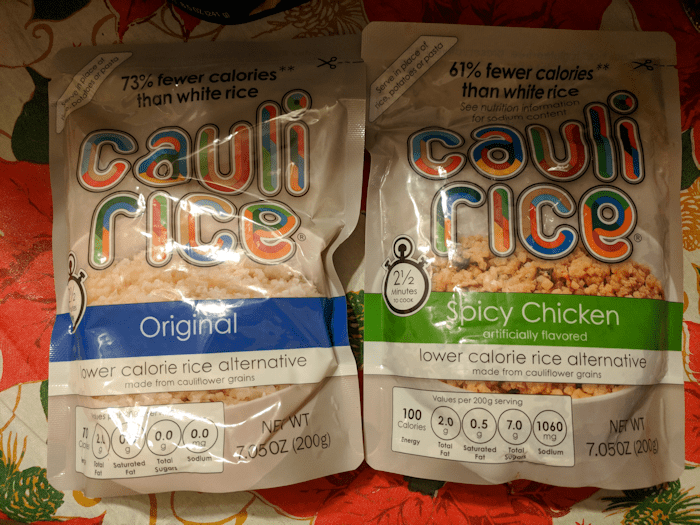 Cauli Rice is gluten-free, preservative-free, and comes in a variety of flavors. I have never heard of Brianna’s dressings, so this is a very new product to me. I have nothing in my home for salads right now because it’s been so cold, the last thing I want is a salad! LOL The dressing I received is a tasty Creamy Balsamic dressing made with all natural ingredients including premium balsamic vinegar, honey, garlic, grape juice and spices. 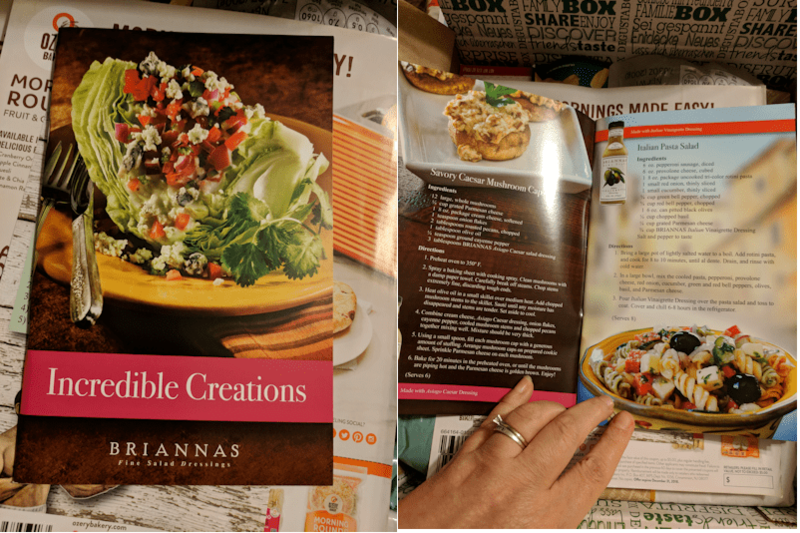 To go along with the Briannas Creamy Balsamic Dressing, Degustabox has included a Brianna’s “Incredible Creations” recipe booklet that is filled with lots of great sounding recipes. 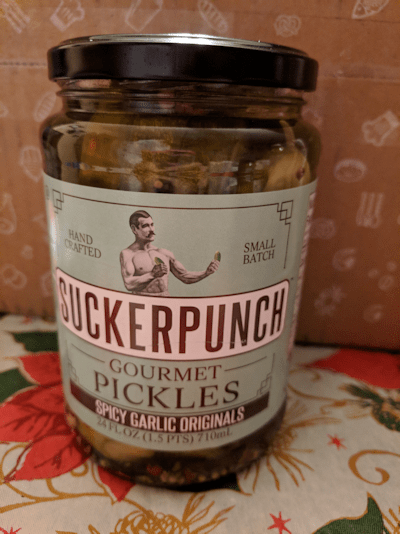 These are hand crafted, small batch, all natural dill pickles made with a signature blend of 15 spices. Their motto is “All Goodness No Garbage!” and they contain no high-fructose corn syrup, no additives or preservative, are gluten-free and vegan. 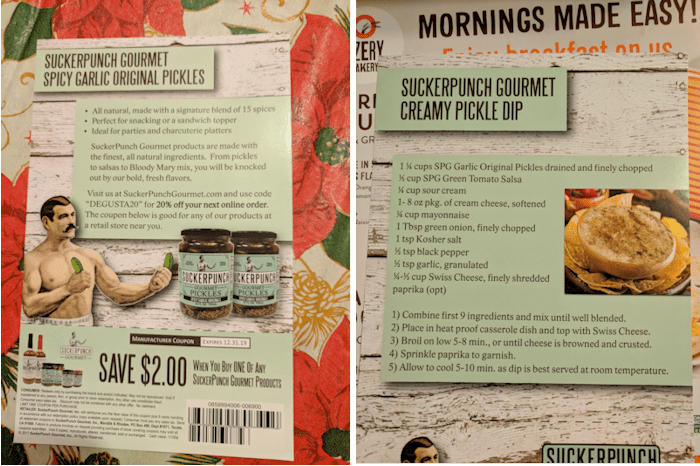 Degustabox also included a coupon for $2 off your next purchase and, on the flip side of the card, a recipe for dip using your pickles! 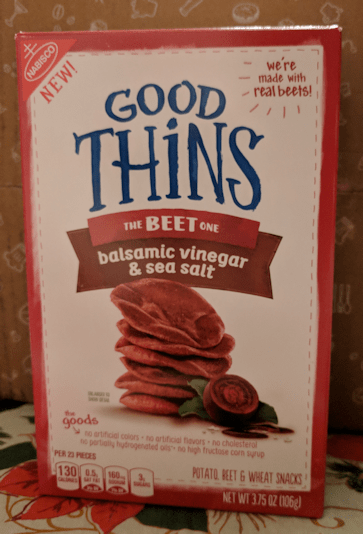 These are potato, beet, and wheat snack crackers flavored with balsamic vinegar and sea salt, made with real beets and contain no artificial colors, flavors, cholesterol, partially hydrogenated oils, or high fructose corn syrup. Now my daughter opened these, and she didn’t like them, however my 3 year old granddaughter took one and took a bite and told her mommy she liked them! So there you go…. 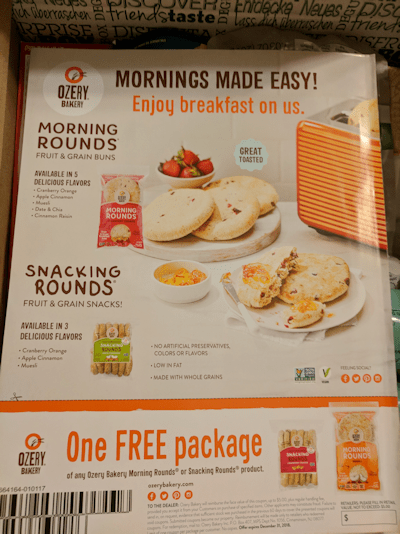 Ozery Bakery makes Morning Rounds & Snacking Rounds that are non-GMO and vegan and come in a variety of different flavors. 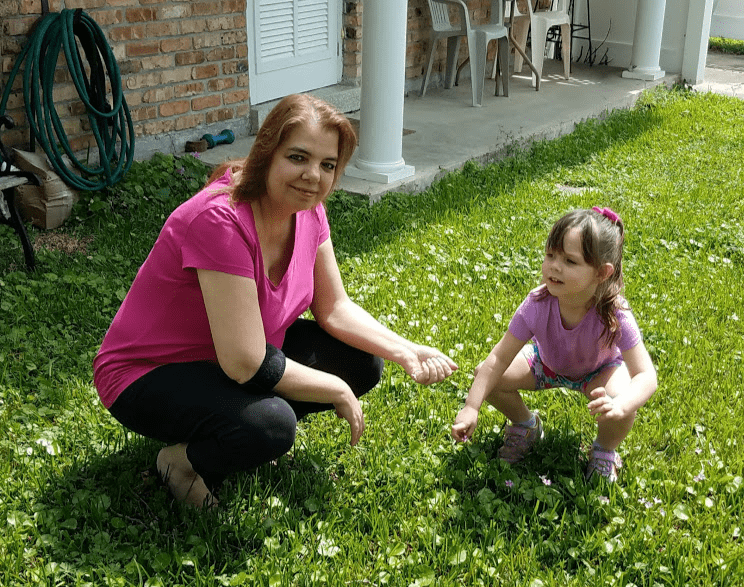 Degustabox has included a coupon for one full size package of your choice of Ozery product. 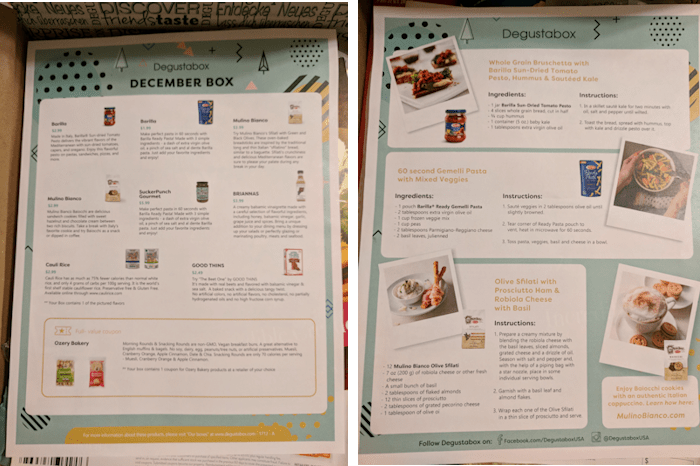 The retail value of the grocery products in the December 2017 Degustabox came to $32.42. Everything in the box, with the possible exception of the Cauli Rice (we’ve never had that before) will be enjoyed by my family this month. Well, there you have it. Another jam-packed box of tasty food and snacks from Degustabox! 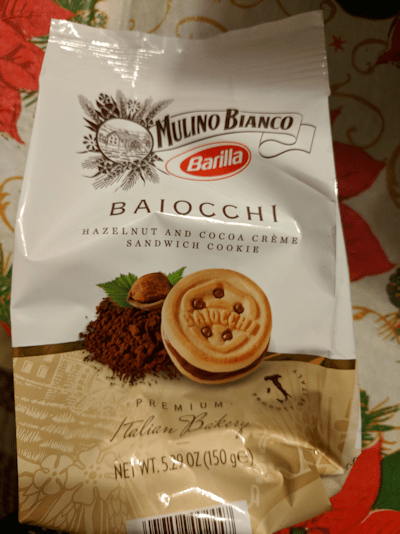 Favorite items this month were the Barillo products, Cookies and Garlic Pickles 🙂 — Remember, you can get your first box for just $9.99 (regularly $19.99) — plus FREE shipping, by using the coupon code “UO5ID” at checkout! Check out more product reviews.